Google+ Three New Products to Try! I am always looking to try new products but I usually like to see what other people have to say before I buy anything new. 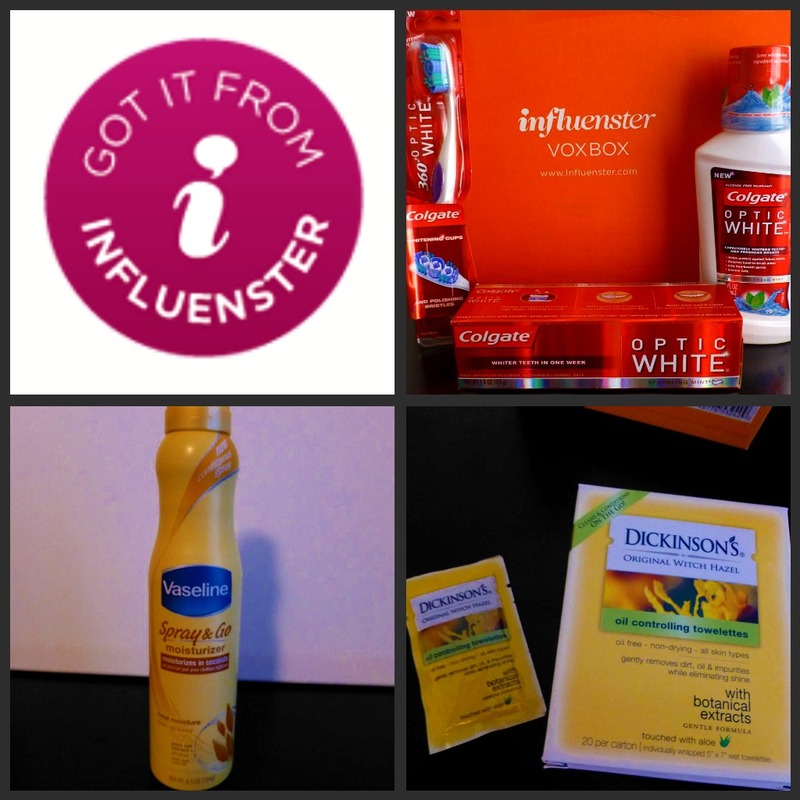 Insert Influenster - a wonderful site that is designed specifically for people from all over the world to write reviews for products they have tried. Influester also has other great programs around product review. For example, they put together VoxBoxes, boxes of some of the latest products on the market, for Influenster members to test out and review for free! 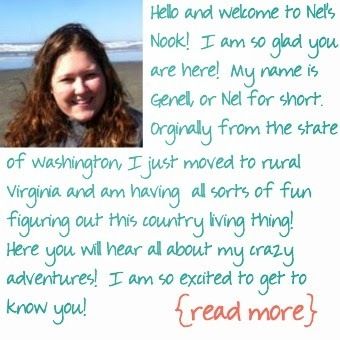 I was so excited to find out that I was chosen to receive the 2013 Sugar n' Spice VoxBox! I was notified a few weeks ago that it was coming and I waited (impatiently!) until Friday when it arrived! When I opened up the box I found the full Colgate Optic White kit, Vaseline Spray & Go Moisturizer, and Dickinson's Original Witch Hazel Oil Controlling Towelettes. The Optic White toothpaste flavor I received is Sparkling Mint and it has a very strong mint flavor - almost too much for me! It does leave your mouth minty fresh though! Their website says they have a Mild Mint flavor and I would recommend trying that one over the Sparkling mint one. The Optic White mouthwash was my least favorite product I tried. It says that it uses the same ingredients as teeth whiten strips and I believe it! I don't know if you have ever used teeth whiten strips but when I did they left a slimy film on my teeth - and that is exactly how I felt when I used the mouthwash except it covered my whole mouth! I felt like I needed to brush my teeth again after I used it. The directions say to swish it around for 60 seconds but it has a stronger taste than the toothpaste so I couldn't do it. I wonder if it would be as effective if you did the mouthwash and then brushed your teeth?? My concern with these products is the long term use - I know that teeth whitening products only recommend using them for a short period of time. None of these products have any sort of warning like that but its definitely something to look into if you are going to use them. I received the Total Moisture Vaseline Spray & Go Moisturizer. The bottle reminds me of the spray sunscreen that came out a few years ago. The instructions recommend that you use this with minimal clothing and I would have to agree - make sure you aim well! The first time I sprayed it I accidentally got it all over my socks (typical me!) but I was very pleasantly surprised that it didn't stain or leave a greasy mark. The moisturizer goes on in a smooth, even coat that rubs in quickly without leaving your skin or hands feeling greasy! It works great on those spots that need a little extra help like elbows and knees and even a few hours after using it my skin still felt silky smooth. The smell of the lotion is a little strong but its pleasant. My only suggestions are make sure you don't get it on your clothes and watch where you are spraying it - I think it could be easily wasted if you have bad aim! Here is a fun video to show you how NOT to get it on your clothes! I was excited to try these towelettes because I had just been reading about using witch hazel as a face product. According to the Dickinson's website, Witch Hazel is known to refine pores, remove and control oil, soothe irritation, and lock in moisture - what's not to love?! I was a little worried because my face has been pretty dry this winter and I didn't want to use an oil controlling product and have it dry out my face even more. Well no worries here! The Dickinson's towelettes are fantastic! I use them after I work out to clean my face. They leave my face feeling clean, hydrated, and grim free! The other reason I like this product is because they are 100% natural and the ingredient list is short and all pronounceable! I have only used these wipes a few times but I am excited to see if they actually do refine my pores because I will be a lifetime user if they do! I am excited to check out the rest of their skin care line. Come back next week to read the review of the other products I received in my Influenster's VoxBox including Nectresse 100% Natural Sweetener and Belvita Breakfast Biscuits! Disclaimer: I received these products complimentary from Influenster for testing purposes but all opinions stated above are solely mine.